In 1972, Dr. Jean Edwards was convinced there was a better way to assist, treat and encourage adults with developmental disabilities than the model at the time – institutionalization. Back then, there were school-related programs and services for developmentally disabled children (though admittedly, the depth and quality of the programs varied widely), but once a child “graduated” the options were relegated to families providing nearly all of the services or institutionalization. In what was considered a revolutionary proposal at the time, Dr. Edwards believed that creating a more home-like setting, near to where developmentally disabled persons already lived, was a far better option. To prove it, she created the Edwards Center, one of the region’s first residential facilities dedicated to supporting the care and ultimate success of people with developmental disabilities. She founded the Center on a simple mission: To enhance the lives of individuals with developmental disabilities by helping them reach their highest potential through training, education, employment, housing and social opportunities in safe, healthy and stimulating environments. That initial Center, located not too far from the current one, took in six residential clients. Since then, the Center has expanded to include 15 residential locations (supervised group homes), two daily activity programs, and a work location. They are also wrapping up an ambitious Aloha area expansion of 10 homes (five of them are three to five bedroom structures, the other five are 900-square-foot “mother-in-law” cottages that sit behind the larger residencies) and a 13,359-square-foot community center that serves a growing number of community services. Meals-on-Wheels for seniors offers weekly meals through the Community Center and during winter months or inclement weather conditions, the Center serves as a local warming center. The Center can also be rented out for local events. 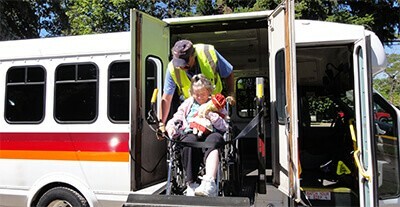 This expanded Aloha project was the first of its kind in the Portland area, according to disability advocates, and has served as a role model for projects like it in other parts of the country. Another element to the Edwards vision has been the growth of related endeavors under the umbrella of Edwards Enterprises. This operation contracts with local businesses to provide labor on projects ranging from bulk mail fulfillment and assembly to supporting high-end testing facilities in the area. Each day, roughly 150 developmentally disabled adults come to Edwards Enterprises to engage in work that offers competitive wages and a wide range of engagement opportunities. The client list for Edwards Enterprises grows weekly and the reviews from the companies turning to Edwards Enterprises should put other staffing services on watch. In fact, several Edwards clients have gone on to find full-time employment with former clients of Edwards Enterprises. The expanding nature of the Edwards’ vision relies heavily on a growing community of supporters. One area of support that has been behind the Edwards Center for years has been SAIF Corporation and the coverage and services provided through the SAIF OBI CompSAFE program. One of the elements of the relationship between Edwards and SAIF that consistently stands out for Mosier is how proactive SAIF is. That kind of support has helped Edwards expand even further in recent years. The Edwards Center has added pet therapy programs and an arts program that engages the residents and clients in unique ways. Today, there are regular art shows that highlight the works of Edwards’ residents and clients alike. Even the briefest visit to the Edwards Center will make the clarity and beauty of that vision clear to everyone.